Beautifully spotless windows – or your money back! We specialise in cleaning domestic and commercial windows; and use the latest techniques and equipment to ensure they are absolutely spotless. Working closely with homeowners and commercial clients from across Essex and North East London, we carry out comprehensive window cleaning services that encompass everything from the cleaning of the exterior and interior windows right through to the sills, frames and doors. Ideal for any domestic or commercial application, our window cleaning services ensure an exceptional exterior appearance and a great first impression for guests, visitors and potential customers too. For our domestic clients we offer a monthly or bi monthly service, for our commercial clients a weekly, monthly, bi monthly or quarterly service is offered. A complimentary SMS service is provided informing clients the day before that there windows will be cleaned the next day on request. A range of payment options are available, we encourage payment by standing order, direct debit, bank transfer or PING IT. Arrange your FREE property survey and no obligation with Essex’s best window cleaning company; call us today on 07900 933740. WE OFFER A FULL MONEY BACK GUARANTEE! As one of Essex’s best window cleaning companies, we ensure stunning results every time. While we’re sure you will be happy with our service, if you’re not, we offer a 100% money back guarantee. Using the latest pure water technology, we leave windows spotless every time. No matter the size or shape of the windows, we will provide a cost effective, reliable and attractive solution. We offer comprehensive valet services that encompass everything you need to ensure your property exterior looks and feels great. 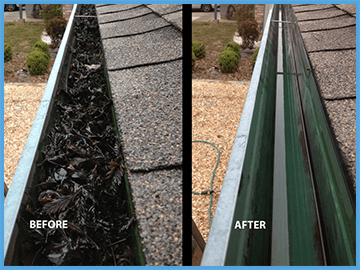 Alongside our window cleaning service, we also provide commercial and domestic clients with gutter clearance, fascia, soffit and cladding cleaning, conservatory uPVC cleaning, patio and drive way cleaning should it be required.